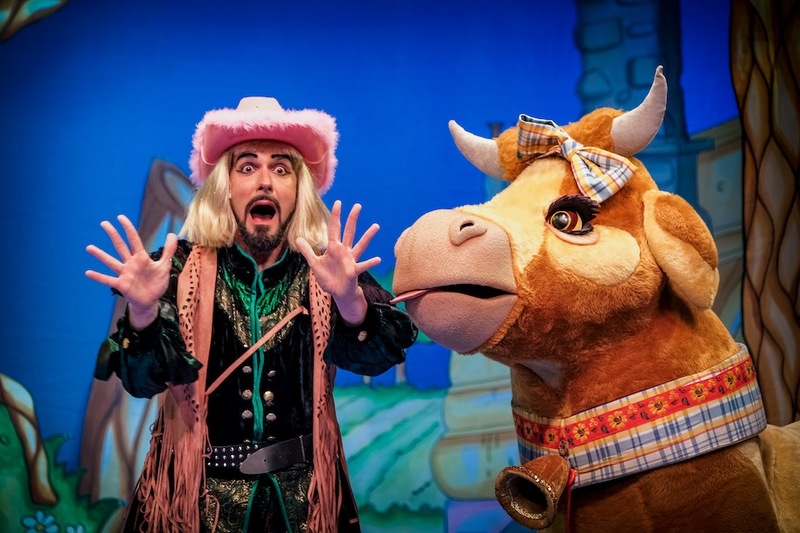 Set in the heart of Yorkshire, this is everything a traditional family pantomime should be. Using a well trusted successful formula of a small cast, with an even smaller orchestra, these energetic and talented actors are more than capable of pulling off the annual festive show. 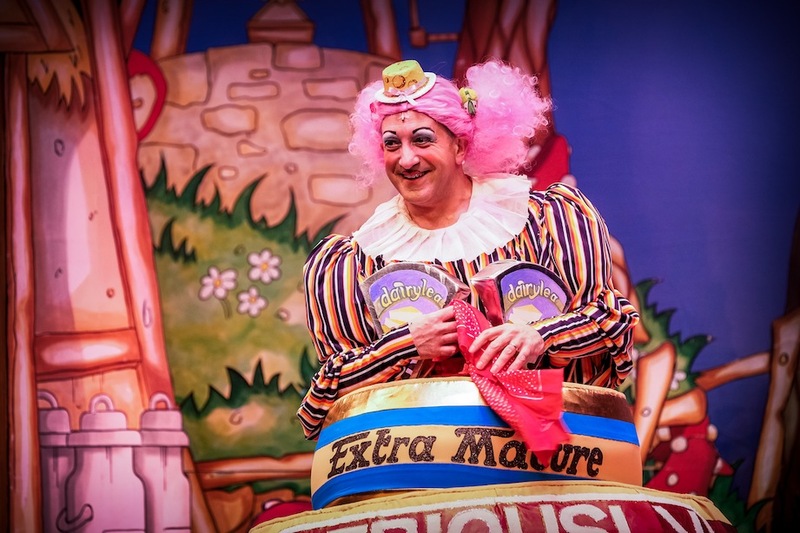 Based on the well known children’s story, this production has all you’d expect: from a slimmer than most dame, a slightly fearful baddy – on this occasion named ‘Nightshade’ – to a dashing hero and a princess he needs to woo. It’s full of comical one liners, obvious puns and localised jokes as well as bursts of song and even a mini flash mob. It’s good light hearted fun, that works for any young family, who aren’t after dazzling special effects or anything too serious. With an enchanting fairytale set and a larger than life giant troll, combined with a fairy godmother style fortune teller, who helps guide the somewhat fearful Jack, director Joyce Branagh has mixed all the right ingredients to create a fun, thigh slapping production. Although there aren’t any of the expected “It’s behind you” scenes, there are plenty of opportunities to shout “Oh yes we are, oh no you’re not,” – a real hit with my eight-year-old son Archie. 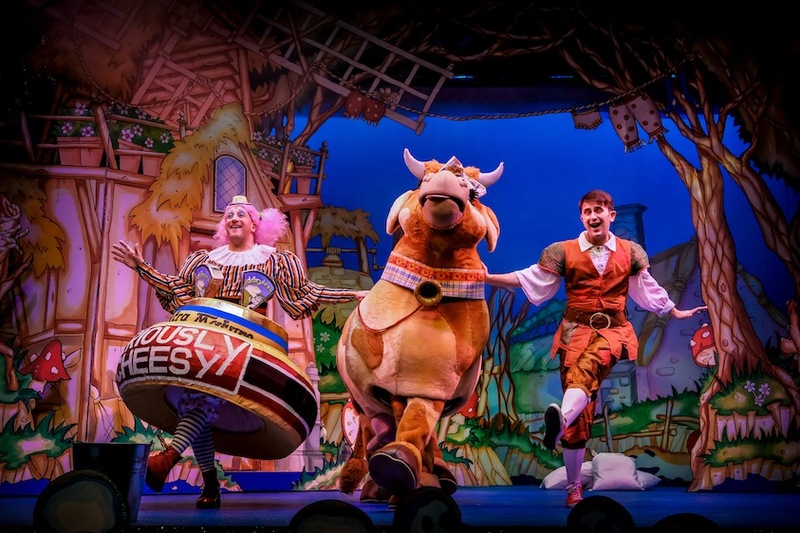 The audience are encouraged to stand and clap and shout as the cast chase each other around the theatre, surprising the younger members by racing up the aisles. As you would expect, the plot drifts slightly from the original storyline, but this is far from a criticism. Playwright, Andrew Pollard, has added a plethora of amusing and quirky original touches. Yes, there’s still the much loved family cow, Buttercup, but she has lost her Moo, so quacks instead. Then there’s the Princess Jill (Megan Turner), who appears after completing a finishing school in Liverpool (who’d have thought it), and happens to have an excellent singing voice. 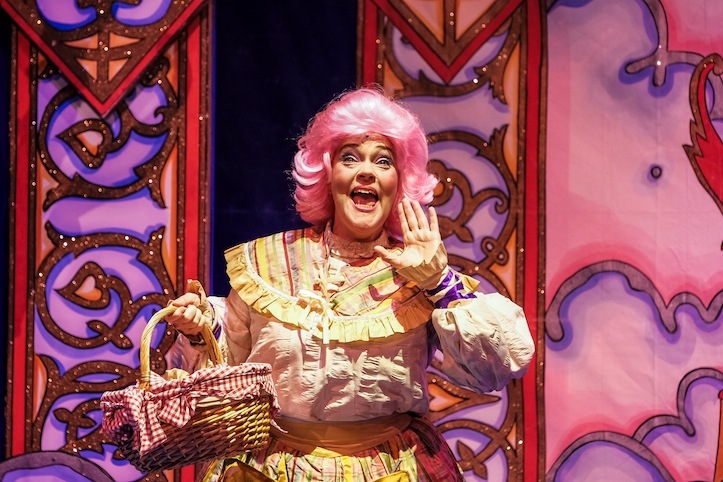 And definitely not to be forgotten is Jack’s Mum, Dame Dotty Trotty, excellently played by Thomas Cotran, who appears to change costume in virtually every scene. She goes from appearing as a ‘seriously cheesy mature’ block of very round cheese, to a rather elaborate tree, a paintbrush, a meat pie and even a plane on a scooter (you have to see it to believe it) – again all to comical applause. The giant’s henchman, Nightshade, (James’s McLean), couldn’t be described as the scariest of villains but he plays the part perfectly and encourages the obvious ‘boos’ from the audience. Of course good overcomes bad by the end of the show, when the dashing Jack, finally finds his courage and saves his land from poverty, after defeating the Giant and slaying his home grown (and rather spectacular) beanstalk to the ground. There’s a lots of clapping and cheering as Jack and Jill (Oooh I wonder where they thought of that?) tie the knot and everyone has a good old sing along. 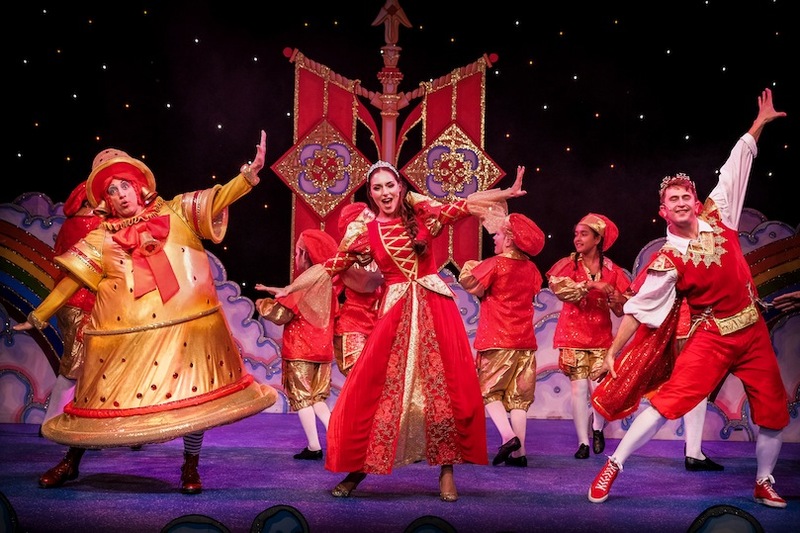 This is a great show and if it’s a traditional panto you are after, you won’t be disappointed. My rather regular theatre going son, gave it 4.5 / 5, but actually couldn’t give me a reason for not giving it top marks. And judging by how much he laughed throughout the two hour performance, I think he would secretly liked to have given it a 5! Previous Can Candles Make You Happy?